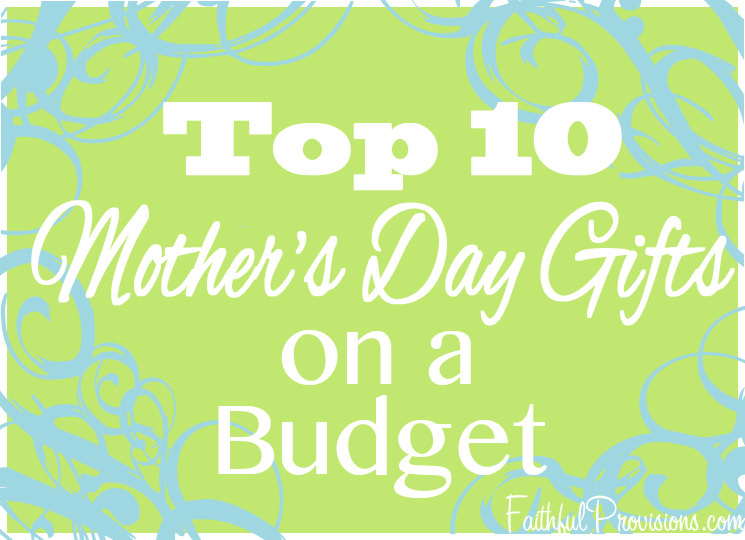 If you’re looking for great buys for Mother’s Day, here’s a list of my Top 10 Cheap Mother’s Day gifts, including lots of creative ideas to help keep costs down. These gifts are inexpensive, but still thoughtful. In fact, these are the kinds of gifts I think Mom will appreciate most! 2. Handmade coupon book. Make a coupon book for Mom with coupons for a free housecleaning, a free car wash, a free room painting, or a free “help” day (her choice of chores). 3. Garden stepping stones. 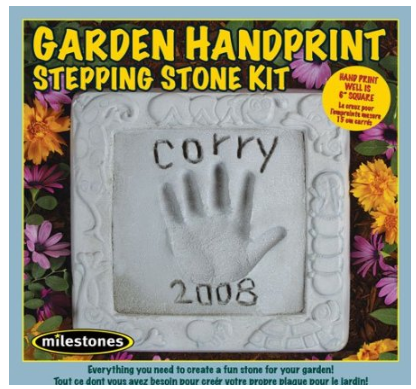 I love these Stepping Stones kits, like this one on Amazon. Most JoAnn’s and Michaels store carry some kind of kit like this. Use the 40% off coupons in the Sunday inserts to purchase. 4. Handmade card or bookmark. I’ve got great tips for writing a beautiful letter to mom and other cheap Mother’s Day gift ideas HERE. 5. Magazine subscriptions. We keep up with all the latest magazine deals and freebies HERE on Faithful Provisions. A magazine subscription is a gift that you can gift every single month of the year! 6. Photo books. Every mom loves pictures of her kids and grandkids. Keep up with the best photo deals HERE, and you will always see great ones for Mother’s Day. 7. Mother’s Day Lunch. Why not eat in this year? Serve your mom a delicious Mother’s Day lunch. Find lots of ideas in my Recipe Box. 9. Handmade gift baskets. Make a tea basket for mom with my Homemade Vanilla Chai Tea Mix. 10. Take advantage of Daily Deal coupons. I frequently find daily deals for things that are great for gifts, such as spa treatments and jewelry on Daily Deal sites like, Groupon, Plum District, Living Social and Zulily. Still looking for something special? You can find even more cheap Mother’s Day gift ideas HERE on Faithful Provisions. Find more Mother’s Day Gift Ideas on my Pinterest board! I have tried the cleanser and can’t wait to try out the rest of the line!